Lynne Ogle Holbrook has been in the clogging world for more than 30 years and coordinating clogging events for over 20 years. 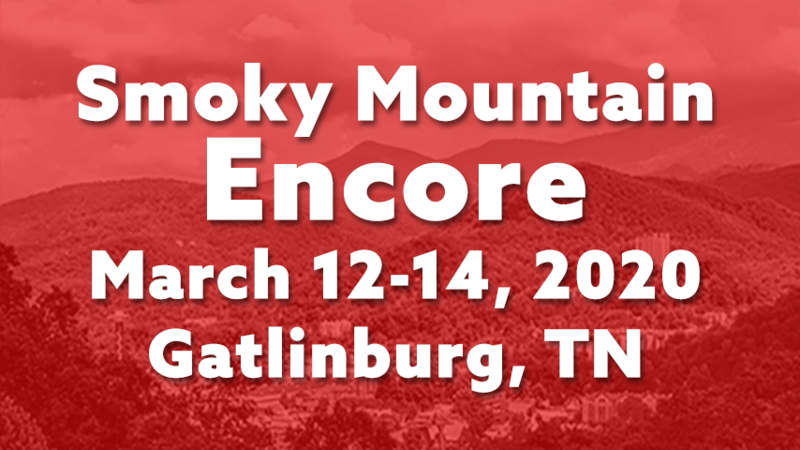 Smoky Mountain Encore provides quality workshops, seminars, exhibitions, shows and competition. With plenty of instructors, there is something for everybody. We hope to see you soon in the Smoky Mountains in Gatlinburg, Tennessee. We will be hosting a CCA qualifying competition on Saturday at Encore 2020. We will be offering the amateur division and challenge division for teams, plus solos and duos/duets. The winners from this competition will be qualified for the 2021 CCA Showdown of Champions. Teams are invited to perform for an audience of thousands. It’s a great way to feature your dancers. Also, come see a professionally-staged production show put on for cloggers, by cloggers. Featuring some of the country’s top clogging teams, great singers and lots of fun and surprises. The Friday night show is always a highlight of the weekend!